Name Farahi, Ghulam Nabi Prof.
Ghulam Nabi Farahi is mentioned as state minister for parliamentary affairs (20171103) Has he got two jobs? Minister of State for Tourism (20170420) through a presidential decree. 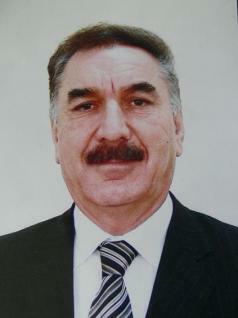 Prof. Ghulam Nabi Farahi was born 1958 in Farah Province, Afghanistan. He graduated from Abu Nasr Farahi High School in 1974 and he got his Bachelors degree in Literature from Kabul University and as well as his Masters Degree in 1983. His carrier started as Professor in Kabul University (Pashto literature Dep). Later in (2001) he was appointed as Deputy Minister of Finance. After that in (2003) he was appointed as Deputy Minister of Trade and Industry furthermore in (2006) he joined Ministry of Information and Culture as Deputy Minister. The Office of the Deputy Minister for Tourism and Administration is responsible for the development, promotion and co-ordination of all tourism activities in Afghanistan and for the development of transparent mechanisms for administration, planning, finance and accounting in the information, culture, tourism and youth field. In a new decree on Thursday Apr 20, 2017, President Ashraf Ghani ordered the establishment of a state ministry of tourism affairs, a move which has sparked strong reaction among legal experts with many accusing him of attempting to centralize power for himself.They accused the president of creating parallel institutions for the benefits of others. Ghulam Nabi Farahi has been appointed as state minister of tourism affairs. It is said that the financial and tourism department of the ministry of information and culture will consist of seven departments and three of the departments are already tasked with tourism affairs.